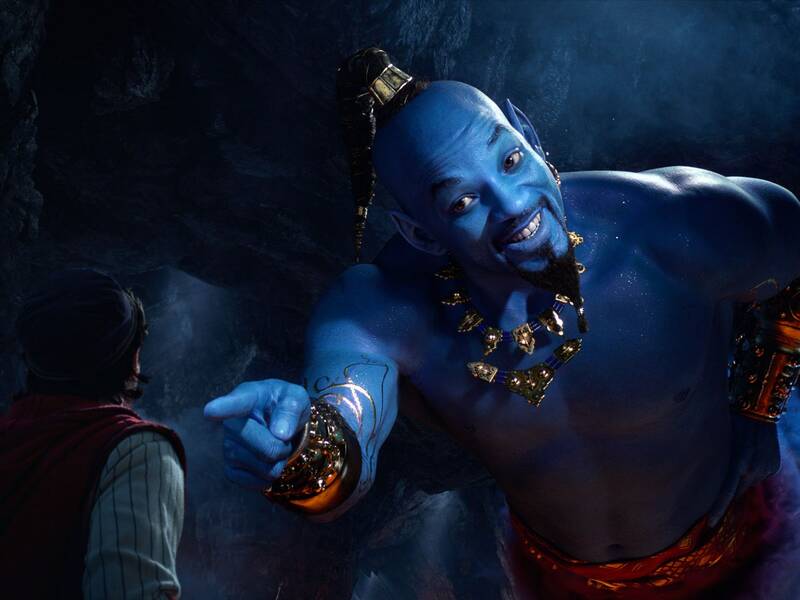 It’s hard to place exactly where in the Uncanny Valley this particular image lives, but given Smith’s blue hue, it’s definitely wading into Smurf territory. But in a way, this reaction definitely falls into the category of Be Careful What You Wish For. When Entertainment Weekly put the movie on its cover fans responded harshly to the fact that Smith wasn’t blue. When the actor posted the trailer on his Instagram, he captioned it with “I told y’all I was gon’ be Blue!! … Y’all need to trust me more often!” Yes, folks should always trust Will Smith. Should they trust CGI? Eh, that’s a different story.